Good news to all Tecno Phantom 6 Plus users as Android 7 Nougat Update will be rolled out come August 4th and you can install and enjoy. This update is long awaited, especially after Infinix Mobility started releasing Android 7 Nougat Update for Infinix Phones. Tecno Mobile is now waking up from their sleep and joining the trend. Nothing pains as much as using a smartphone that can’t be upgraded, it’s really annoying. I hope the push out this update for more tecno phones soon. 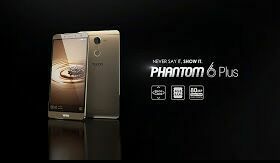 This Tecno Phantom 6 Plus Android 7 update is expected to come as OTA update which will be very easy to upgrade without the need of PC or being tech savvy.